No, I didn’t neglect to post about these blocks back in September. I actually just made them last night. 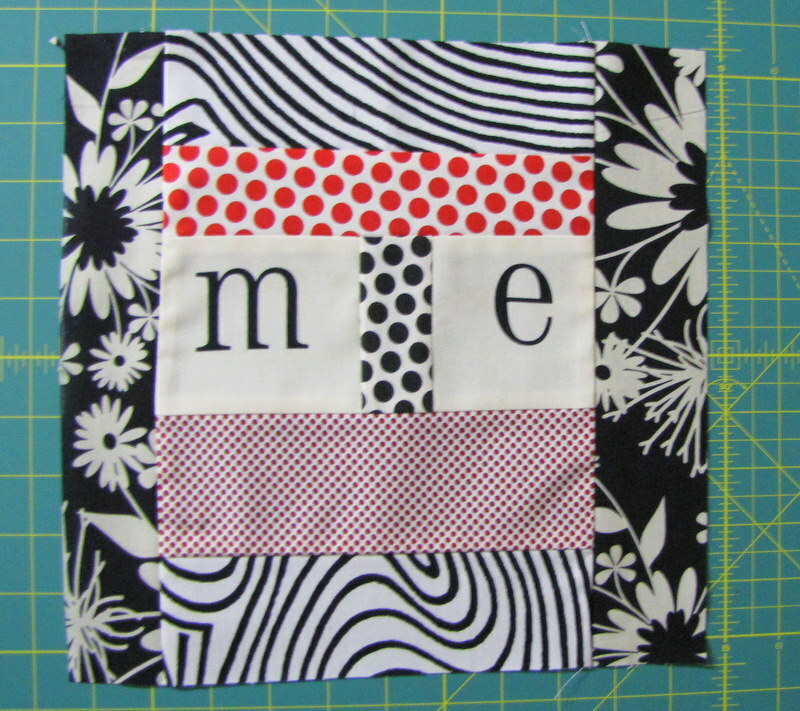 I am so behind with my quilting bees, I’m just now getting to September. Note to self: just stop making plans for back-to-school month. Especially when starting a new job. I’m behind in everything right now and just coming up for air. 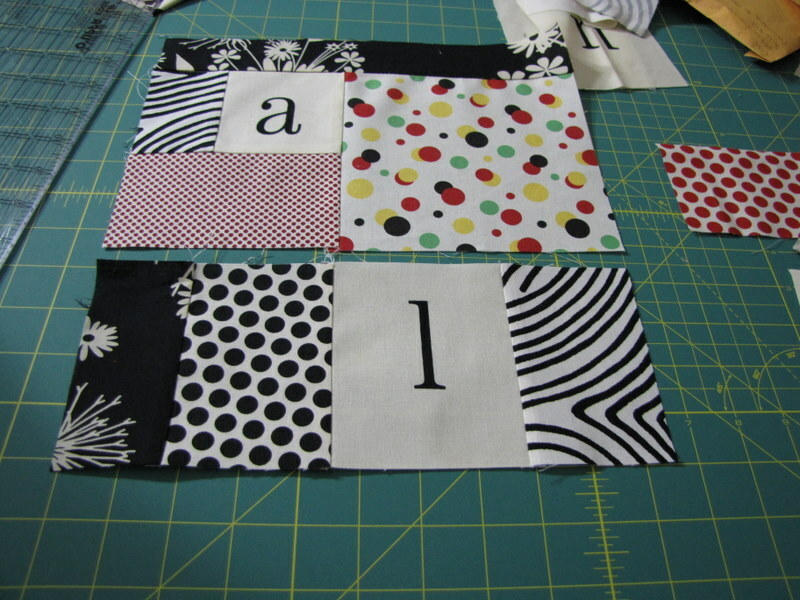 Anyway, I felt so bad about finishing Wendy’s blocks late that I made her 3 of them. 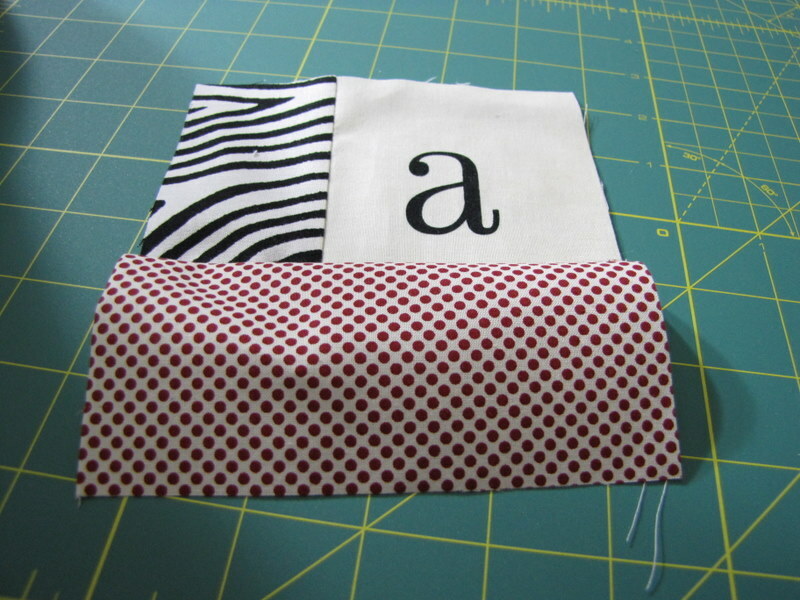 Wendy sent these great black and red fabrics to play around with, and all she asked was that we showcase these alphabet squares she sent. 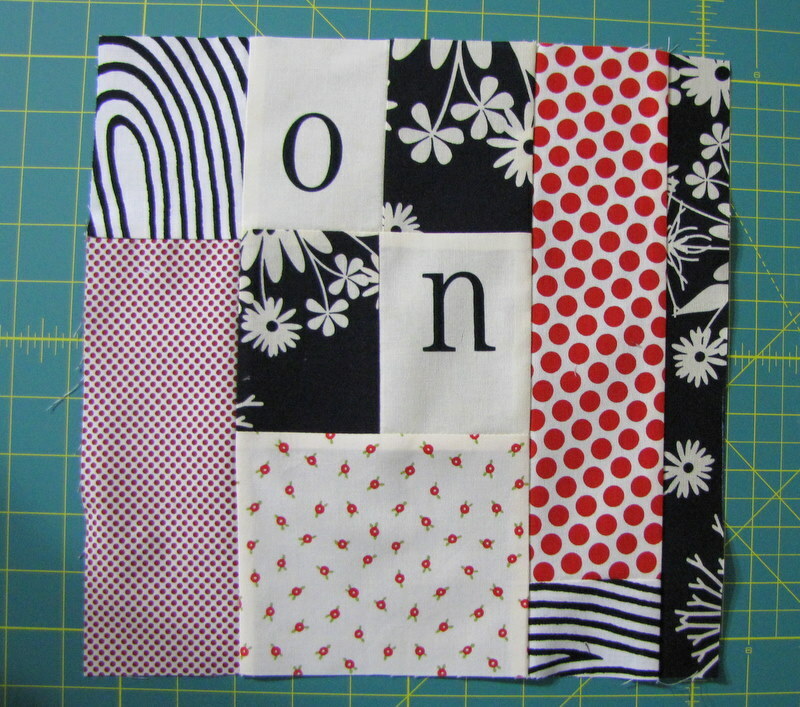 She’s making this into a play quilt for her toddler, which I love. 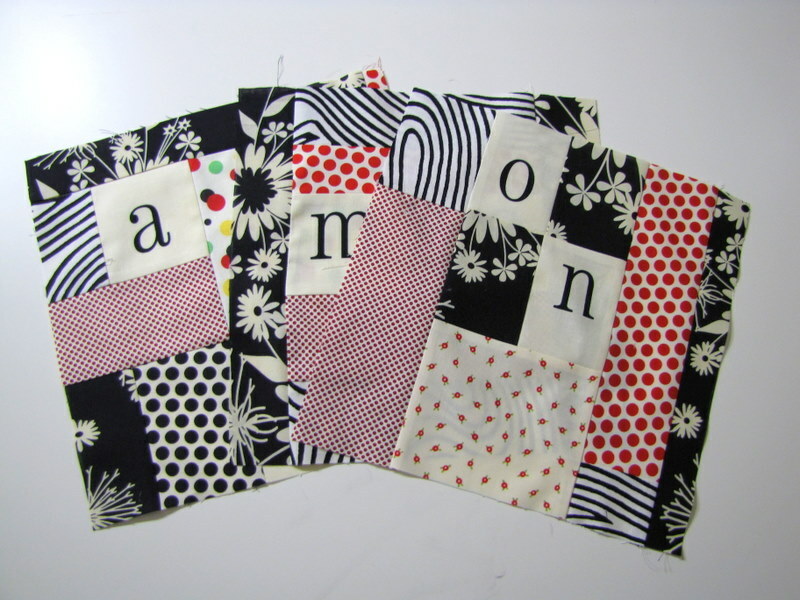 And I loved making these, it was really great to be making anything after about a month (my sewing machine was very dusty and very lonely. Seriously, I had to clean it twice). I was surprised by how much fun I had playing with the letters and shapes. It was therapeutic. 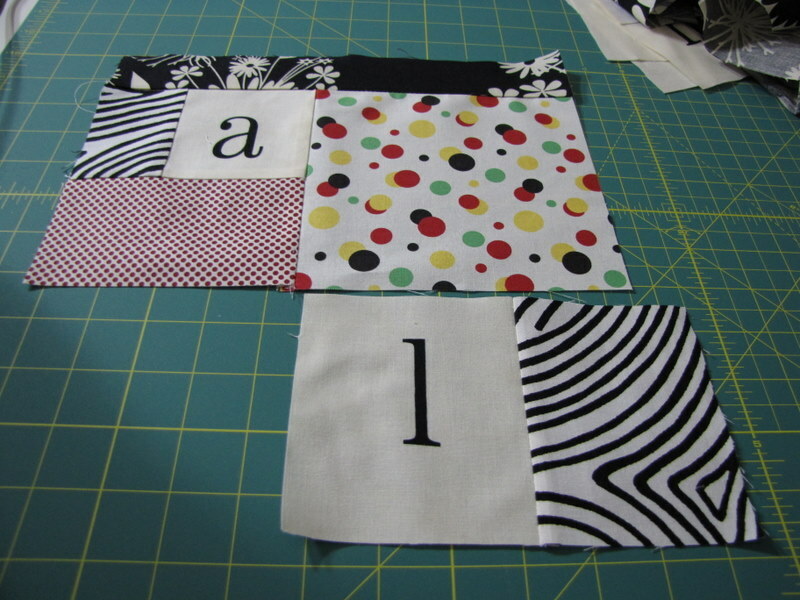 And I never really post about my process when making these bee blocks, so keep reading if you want some details. 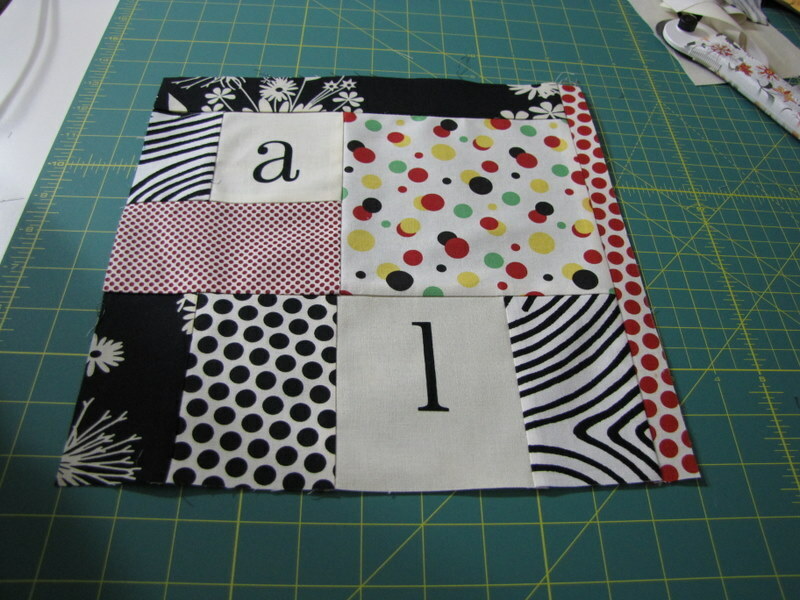 For these particular blocks, I picked a letter first and then began playing and building. 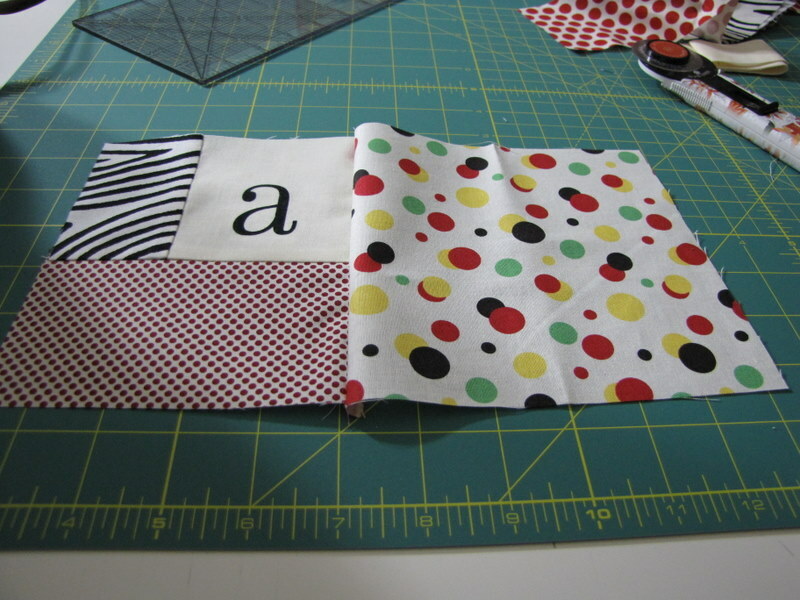 I’m in love with that multi colored polka dot fabric. So I used the whole square. I actually thought this was a #1, but I now realize it’s a little “l.” And I was so excited about making my “A1.” I also nearly blew up the microwave making dinner tonight, I never said I was 100% recuperated. Lots of black and white. Trying to match up those seams. So close! But I still love the look of this one. And repeat again, less blurry this time (I really should wear my glasses when I take these photos).